After nearly fifty years, trains are set to roll through the Scottish Borders once again. 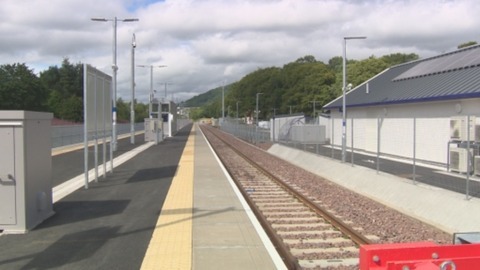 ITV Border has a series of special reports on the £300 million Borders Railway, and the possible impact on the area. Deltic D9018 Ballymoss crossing Shankend Viaduct with the diverted 1A16 Kings Cross - Aberdeen ECML service on Sunday 16 July 1967. The diversion was a consequence of the derailment of the previous evening's 12-coach Edinburgh - Leeds North Briton near Acklington (caused by a broken rail).